I had no idea brewing my own kombucha tea, that fizzy tonic that you shell out $3 bucks for at the health foods store, would be so easy. Brew up a gallon of tea, add a cup of sugar, some spices such as ginger and cardamom, and a 1/4 cup vinegar (thanks Dave Love) for extra mold control. Then add the squid-like culture (a symbiotic puck of yeast and beneficial bacteria) and let it ferment for a week. It gets increasingly fizzy and tangy as it matures. 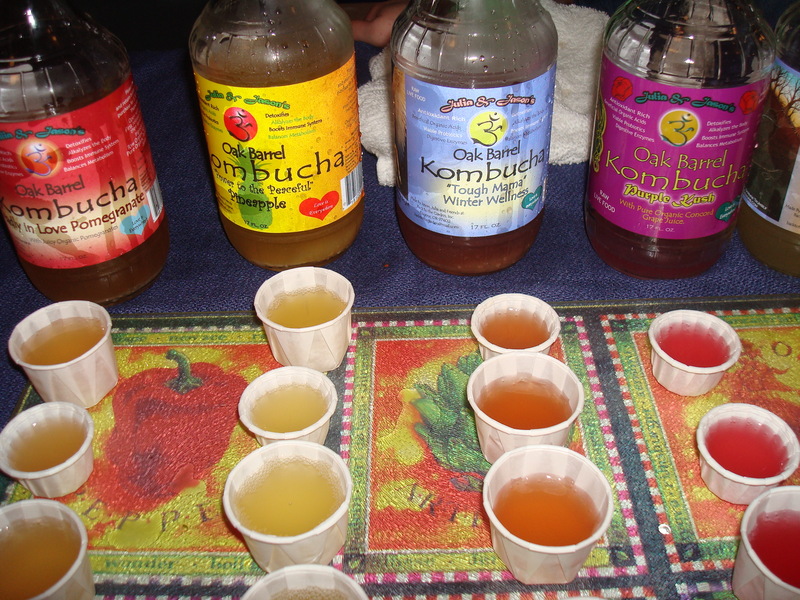 Kombucha has been associated with various health benefits, but also some risks, so brew it in a sterile environment and drink in moderation. For whatever reason, the age-old beverage really quenches the thirst, and to me, is highly addictive. Hey, making your own is becoming mainstream enough for the Chicago Tribune to blog about. I first tasted that GT’s/Synergy kombucha in Baltimore and have since fallen for Kombucha Wonder Drink’s Asian Pear Ginger. There’s a lovely local kombucha brewed in oak barrels right here in Eugene. I tried it at a recent fermentation festival there. But nothing beats the convenience, thrift and satisfaction of brewing your own. Sally Fallon of the Nourishing Traditions cookbook and the Weston A. Price Foundation is a recommended source on how to brew your own. 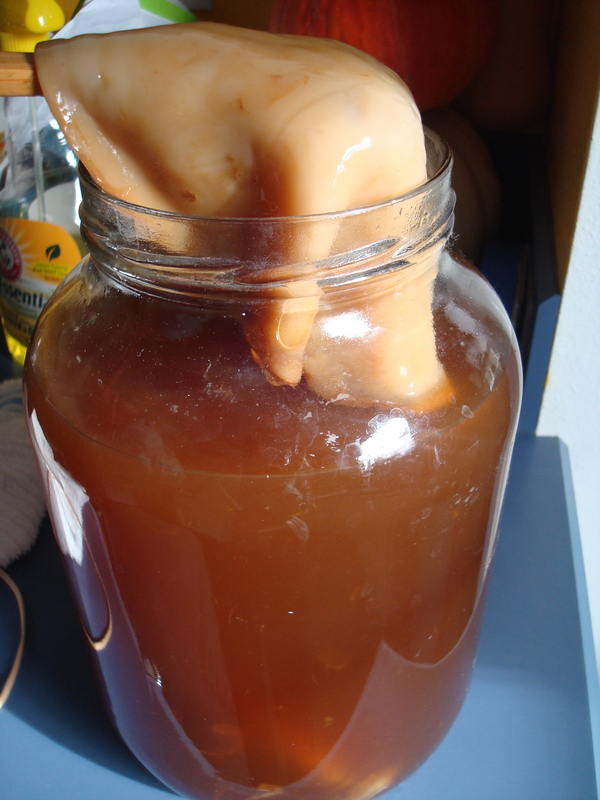 Sample in a Jar: The Culture that Ferments the Kombucha. Yeah! 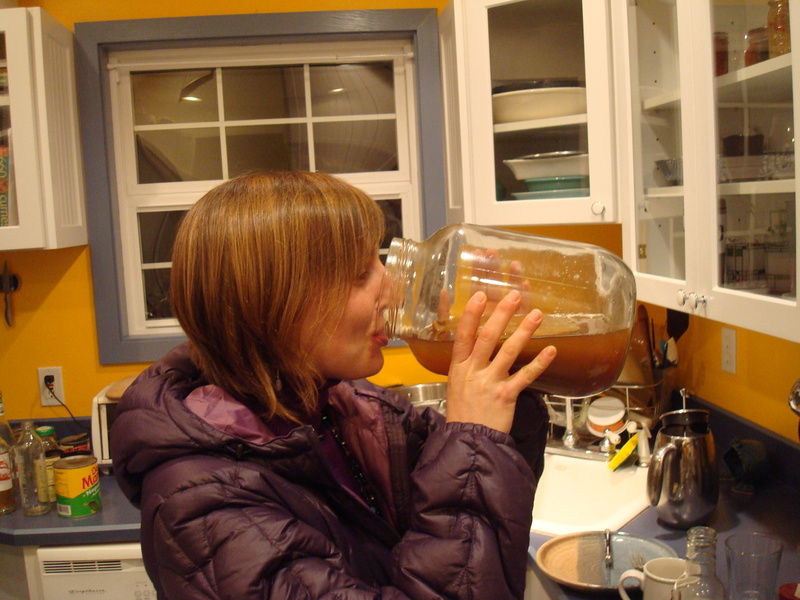 Homemade Kombucha is the best and super easy to make. I wish I was back visiting Portland where I could pick up a number of different bucha drinks, but until then making my own is definitely the most rewarding.